View from Los Olives of Huaraz as the sun starts setting. 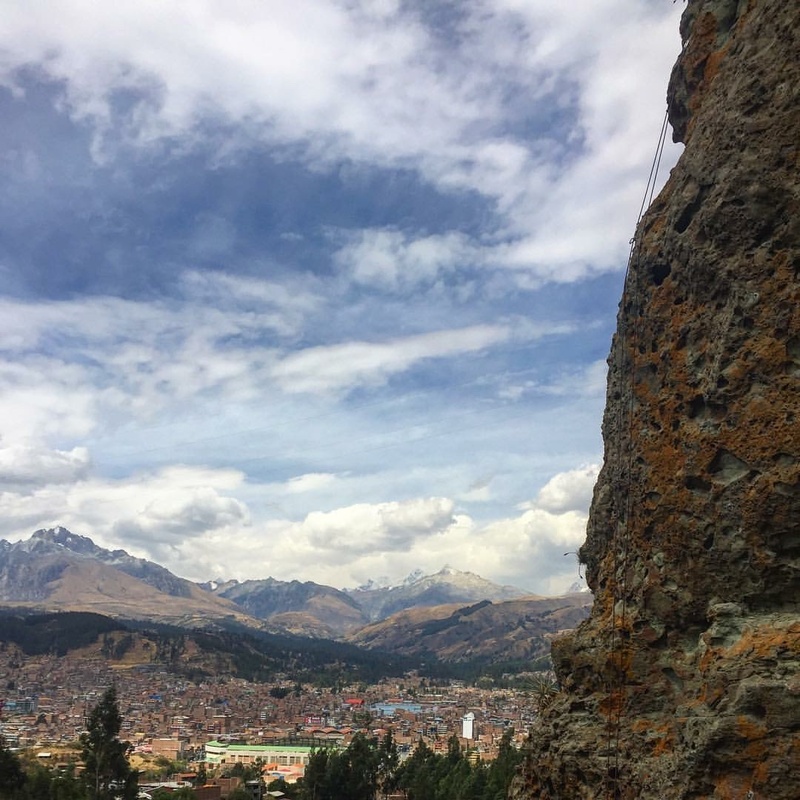 I never got around talking about my time around Huaraz, Peru near the Cordillera Blanca. This city is known as a mountaineering paradise but also has lots of nearby rock climbing. 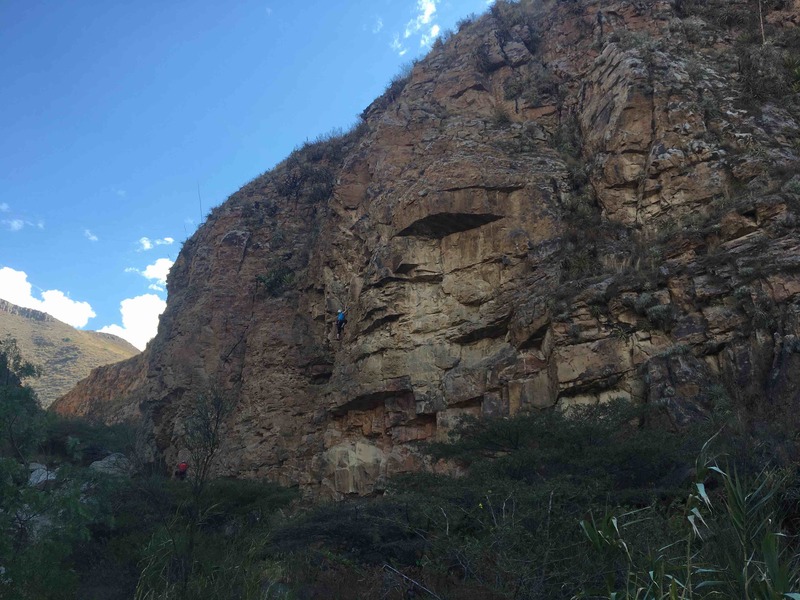 I wrote previously about how I climbed a few of the hundreds of routes in the rock forest of Hatun Machay a couple hours south. However, I also wanted to share on the three other areas I climbed. There is much more than what I’m talking about here so pick up a copy of the regional climbing guide to get some rock down there! A climber on the wall in Los Olives. Huaraz in background. The Los Olives area is a few walls about a 15 minute ride from Huaraz. If you just want to get some climbing in while acclimating or a rest day its a good option. Everything about it is okay. The rock and the routes are not that interesting. 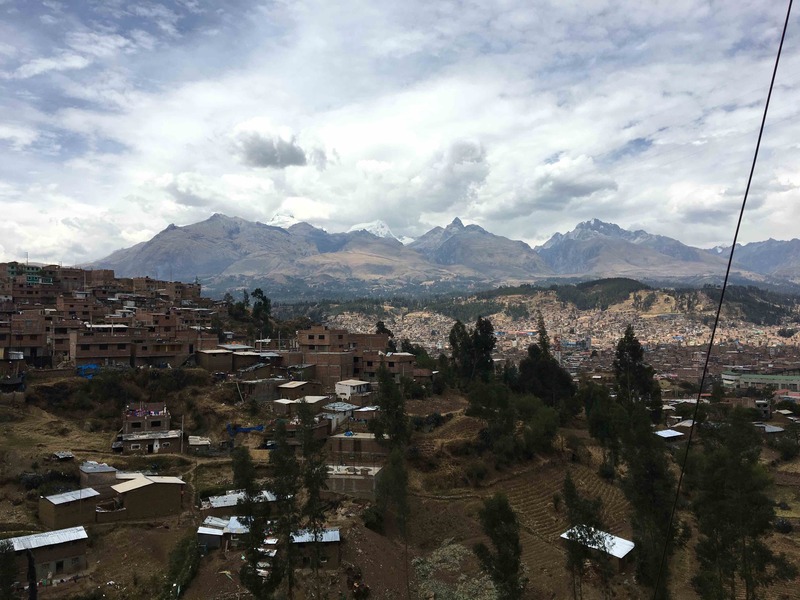 However, you get an amazing view of Huaraz under looming glacial peaks. A 45 minute combi ride north of Hauraz followed by a 25 minute walk mostly on dirt road brings you to the Main Wall. Shupluy is a great craig that fills your ears with the sound of a running stream, your eyes with a distant glaciated mountain down the canyon and gets cool in the evening. This area sports a lot of interesting 5.10 routes with pretty nice rock. If busy, continue downstream to less visited faces. 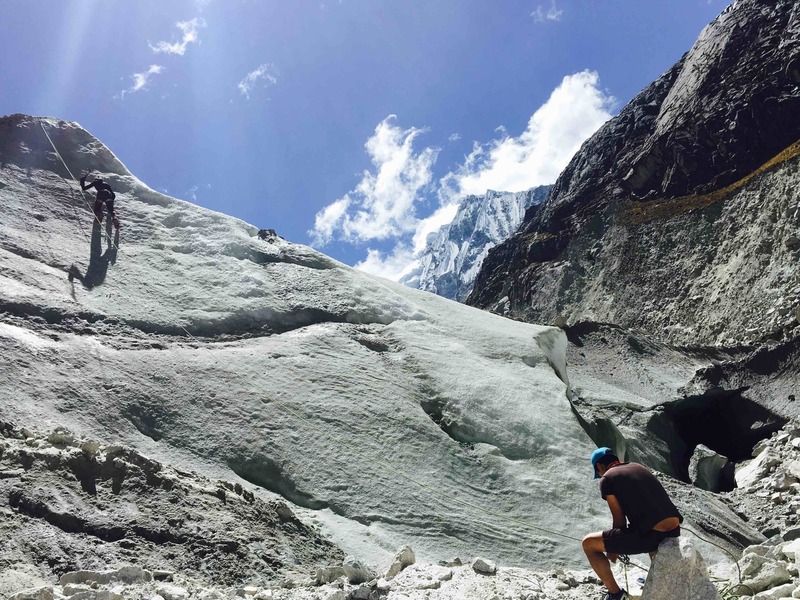 I went with Galaxia (an outfitter) to try out ice climbing for a day trip from Hauraz. It ended up not being quite what I expected. It took us about two hours each way up a VERY rocky road to the park. After a twenty minute hike we set up a top rope around midday on the first glaciated headwall. I tried three routes: straight up, a traverse halfway and a diagonal. I also crossed off one of my bucket list items, of walking into an ice cave! 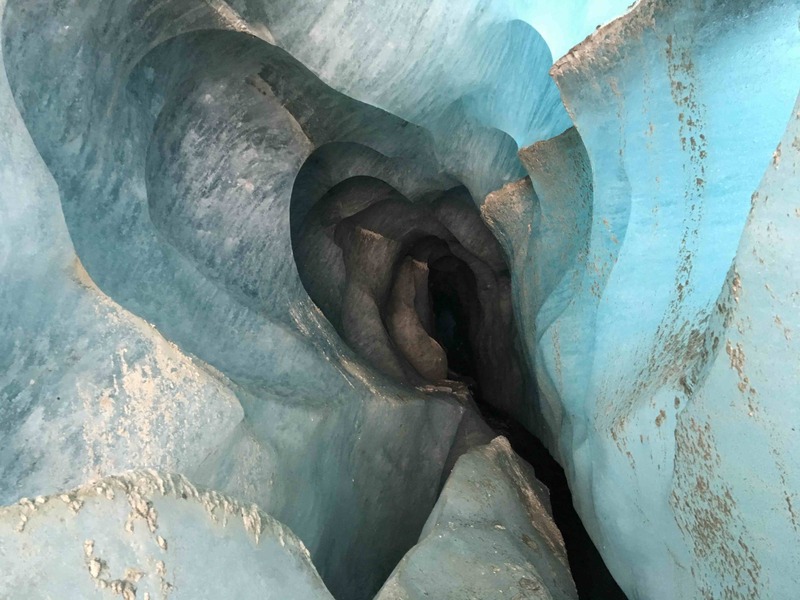 Ice cave next to our glacial ice climbing route. It was a great intro to ice climbing and the group was small with just three people, but there wasn’t really any instruction and it was a lot of transit for just 2 hours of climbing. Lesson learned, make sure you know what you are getting when you sign up for these tours.